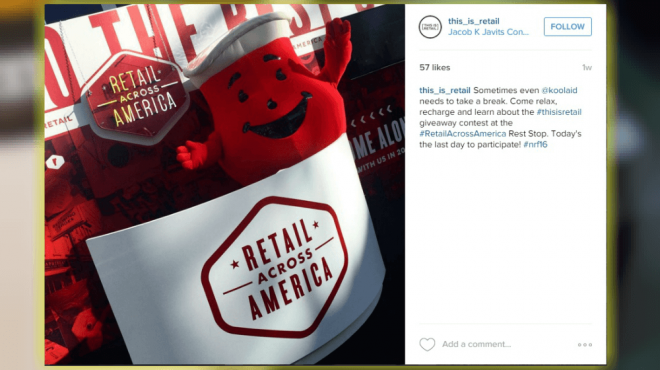 Trying to promote a retail store on social media? The process can be tricky. But luckily, there are some promotions and contests that can make it a bit easier to get the word out about your retail business. The National Retail Federation hosts one such contest. 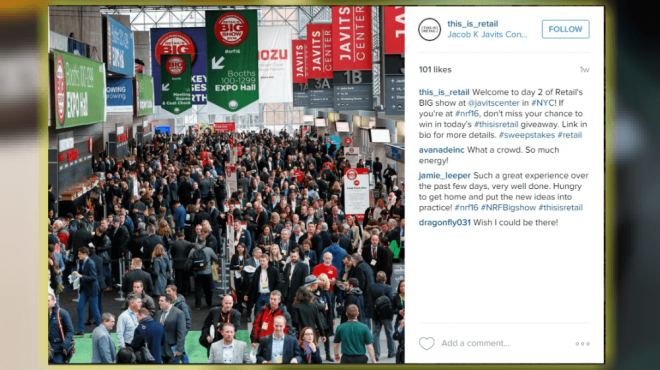 The organization hosted its 2016 “This is Retail” promotion at its Retail’s BIG Show 2016 in New York City earlier this month. During that time, attendees of the event had the opportunity to win a variety of prizes, along with an Instagram mention, just by posting photos to the photo sharing app. To enter, participants just needed to be 18 years or older, attend the event, follow the NRF’s @this_is_retail Instagram account and post a photo from the event on Instagram between 8 a.m. and 5 p.m. EST during the event dates using the hashtag #thisisretail. 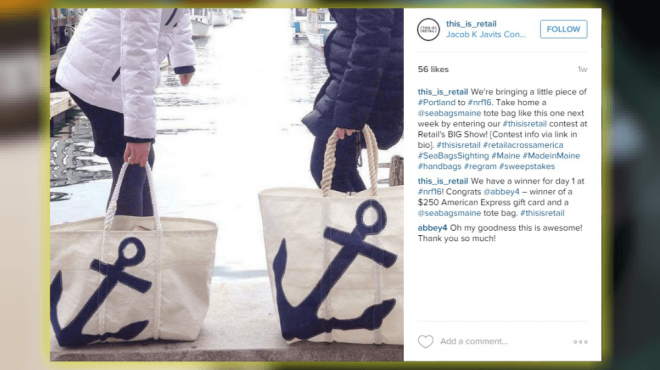 Then each day, the NRF selected a winner and announced it on Instagram. Winners also received a variety of different prizes, including American Express gift cards, a Bluetooth speaker, tote bag, backpack and more. Aside from the official event contest on Instagram, retail business owners and team members can also use the hashtag on both Instagram and Twitter throughout the rest of the year as a way of connecting with others in the retail industry. 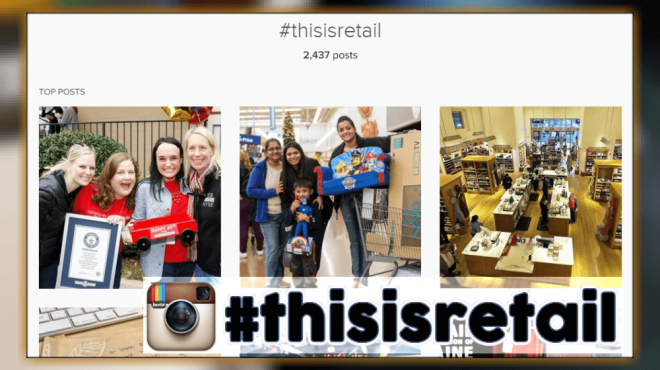 In addition, the @this_is_retail Instagram account regularly posts images of retail stores and workers to highlight the professionals who make the retail industry great. If you’re trying to promote a retail business on social media, you can create posts using the hashtag and check out others who have posted with the tag as well. You can also keep an eye on the NRF’s event schedule for news about 2017’s BIG Show, where you may be able to enter the official Instagram contest again next year.